Do you have questions about Real ID? 2 On Your Side has all the details you need to know. 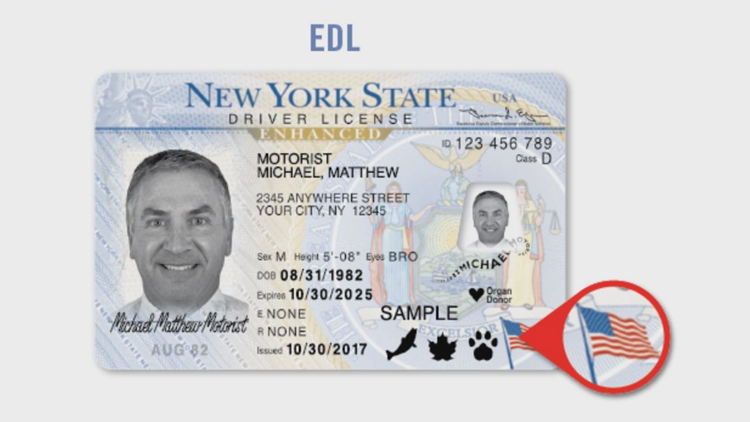 BUFFALO, N.Y. — New York State drivers with a standard license may soon have to start thinking about upgrading to Real ID. The Real ID Act is part of post September 11 legislation, which passed in 2005, to establish minimum security standards for driver licenses, permits and ID cards issued in all 50 states. As of October 1, 2020 federal agencies, like the TSA, will only be able to accept Real ID's, U.S. passports, and enhanced driver's licenses as forms of identification, even if you're flying within the United States. 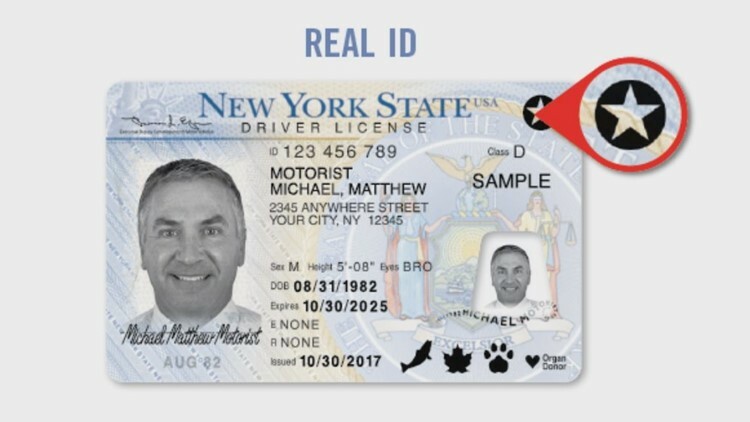 The New York State DMV started issuing Real ID's in October 2017. So, there's a chance you may have one already. The Real ID is easy to spot. It has a star symbol in the upper right corner of the ID card. 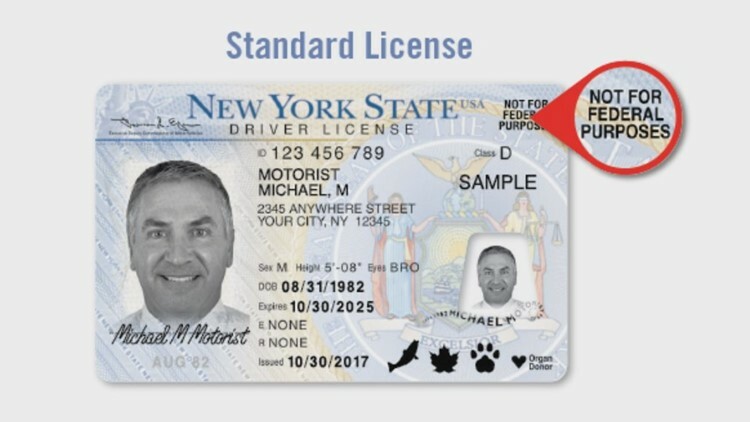 The standard New York State driver's licenses issued after October 2017 say "Not for Federal Purposes" in the upper right corner. Enhanced ID, is marked as such, and has a U.S. flag emblem in the lower right corner. The cost for the Real ID is the same as getting a new standard license or renewal. A basic class D driver's license in the State of New York costs about $65. Unlike a renewal, which can be done online, you do need to go to the DMV to apply for a Real ID. Per federal regulations, you will need to take a new photo. "To get a Real ID or an enhanced license, it does require an office visit. And it does require to be recertified," Theresa Egan, Executive Deputy Commissioner of the New York State DMV, added. "So, many of those proofs that people have brought in initially to get their license...have to be brought in again." Not sure what documents you'll need? The DMV has a document guide online that walks customers through what you will need to bring with them. "I know a lot of people think well October 2020 sounds like a long time away," Egan said. "But it's really not. And we've been really trying to encourage people, especially that are coming up for renewal, in their normal cycle time, to take advantage of this opportunity and get the Real ID now." Is Real ID is mandatory? If you still have a number of years on your standard license past October 2020 before it's set to expire, you can keep using it. The standard ID will still be accepted as identification for most things like driving, voting, and applying for federal benefits. In terms of air travel with children under the age of 18, the old rules still apply. Children will not require ID if they're traveling domestically with an adult, but that adult will need acceptable identification as of October 2020.